Learn more about Vtiger CRM with customer reviews, ratings, pricing information and frequently asked questions. Vtiger is a customer relationship management platform for businesses with 1 to 500 employees. Vtiger has a help desk, project management portal, sales CRM and more to help businesses manage their interactions with customers. Vtiger has one all-in-one pricing plan for businesses. You can sign up for all of the CRM features for $30.00 per user per month. Pros: Good customer service. Easy to use. Cons: Documentation can be difficult to navigate. Bottomline: Vtiger is a good CRM solution with affordable pricing and a useful set of features. What is the price range for Vtiger CRM? Vtiger has one fee of just $30.00 per user per month. Where can I watch a Vtiger CRM demo? You can find a Vtiger demo and other Vtiger information here: www.vtexperts.com/vtiger-7-0-open-source-demo/. 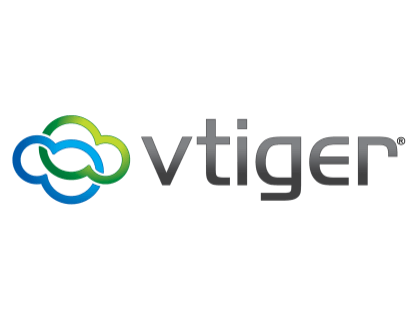 Vtiger 7 is version seven of the Vitger CRM software. With this latest version, upgrade include marketing apps, record notifications, direct messaging and customer service insights. There are no free verisons of Vtiger. However, you can sign up for a free limited time trial on vtiger.com. How can I use my Vtiger CRM login in my web browser? Go to www.vtiger.com and click the "Login" button at the top of the page, then enter your credentials. Is Vtiger an open source program? The Vtiger CRM software is open source, meaning that developers and programmers can use code to customize the software and adapt it to the needs of your business. Where can I get Vtiger support and plugins? Vtiger Experts is a great resource. If you go to vtigerexperts.com, you will find a full Vtiger knowledge base, troubleshooting pages, upgrades and customization services. Are there any Vtiger alternatives? vTiger CRM. The worst code I have ever seen but still used by lots of businesses. I've used VTiger on and off for a few years. Not bad, but I've always had to do some php editing to get it ready for production use. Vtiger is what I use. Saved so much money and hired a programmer to custom code for me. Works great.